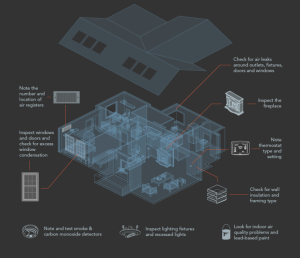 What is a Home Energy Audit? | Carroll Plumbing & Heating Inc. According to research from the Department of Energy the average home has enough air leakage to make up a two foot square hole in a wall—this is the equivalent of leaving a window open for a full 24 hours. We’re hearing about energy efficiency, consumption and the condition of our environment more with each day. And it appears industries are responding with smart, green technologies to overcome every problem and concern. Some people are willing to try anything to improve their home’s efficiency and save money on utility bills. A home energy audit is similar to the kind of check up we have at a doctor’s office, instead it’s a physical for your house. 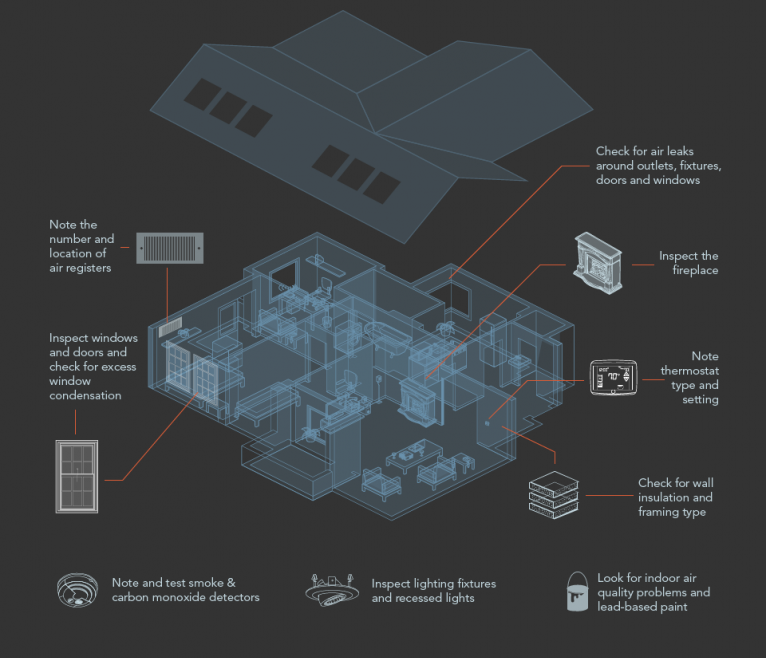 Commonly referred to as a home performance, or whole-house energy audit, this extensive assessment is an approach to locating problems and inefficiencies within your house. These audits are so precise; they can find and diagnose not only major inefficiencies, but also less obvious issues like poor air quality and moisture-related problems. Why people choose to have one performed? Some people feel like no matter what they do whether it be equipment upgrades or routine maintenance, that they still can’t lower energy costs. Other people struggle with achieving better air quality and seek ventilation solutions. Oftentimes, a home energy audit is a great starting point to discovering these inefficiencies and seeing where improvements can be made to improve overall home performance and health. What is the average thermostat setting for cooling and heating? Is anyone home during daytime hours? To get started the auditor will conduct a visual inspection of the home’s interior and exterior including siding, roofing, windows, doors, ceilings, walls and floors. Next, the auditor turns focus to primary systems like HVAC, electrical, plumbing and major appliances in the home. Through a series of diagnostics tests, the auditor will examine insulation, ventilation, gas lines, etc. Based on statistics from the DOE, 50% of a home’s total energy consumption comes from heating and cooling, with another almost 20% going towards water heating, it’s no wonder people turn to their trusted HVAC technicians and plumbers for questions regarding efficiency and upgrade recommendations. We welcome our customers’ questions can help you decide if you may benefit from having a home energy audit performed. After all, if you’ve been a customer of ours, we know your system inside and out! If you’re interested in learning about home energy audits, we can recommend a professional home auditor. If you’ve had an audit performed, we’d be happy to help you assess the results and decide which suggestions are valuable and which aren’t worth your money. Even if you just want to do what’s best for your HVAC system and get a seasonal tune-up, we’ve got you covered there as well! To learn more about our residential plumbing and HVAC services, contact Carroll Plumbing & Heating today.